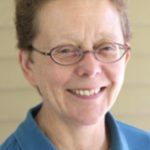 Dr. Susan Kane is a Professor Emerita of Classical Archaeology at Oberlin College, the Director of the Cyrenaica Archaeological Project (Libya) and Sangro Valley Project (Italy), and an expert on the archaeology of Libya. Dr. Kane’s interest in Libya is not limited to archaeological research, but also includes capacity building work for the preservation and protection of Libya’s cultural heritage. Since 2005, with the help of grants from the U.S. Bureau of Near Eastern Affairs and the Ambassadors Fund for Cultural Preservation and working closely with the Libyan Department of Antiquities, Dr. Kane has helped to train Libyan archaeologists and police in how to protect and preserve their heritage in the midst of crisis and civil war. In 2013, she was awarded a Society for American Archaeology Presidential Award for her efforts in the preservation of Libyan heritage during NATO’s Operation Unified Protector. How has the conflict in Libya since the Arab Spring affected the cultural heritage in Libya? Since the February 2011 revolution that ousted Gaddafi, Libya has been struggling with the challenge of building a new country. The current perilous condition of the Libyan state now endangers a remarkable and varied range of cultural heritage dating from the prehistoric, Graeco-Roman, and Islamic periods, including five UNESCO World Heritage sites, all currently placed on the UNESCO World Heritage in Danger list. Three of these are Greco-Roman archaeological sites located on the Mediterranean coast—Cyrene in the east; Sabratha and Leptis Magna in the west. Another is further inland, nearly 500 km to the southwest of Tripoli, the Islamic desert trading city of Ghadamès with its distinctive vernacular architecture, and in the far southwest of the country is the Tadrart Acacus, a massif that contains thousands of prehistoric rock-art sites, some dating as early as 9,000 B.C. The over-riding concern in Libya these days is security. Army and police forces have yet to be formed into effective, coherent organizations. Independent and heavily armed militias still abound. Religious extremist groups are asserting their control over areas of the country. Two rival governments at opposite ends of the country – the Tripolitania and Cyrenaica – are claiming authority over Libya’s resources in a de facto civil war. The oil-based economy remains fragile as production is intermittent. Water, electric, and communications infrastructures are unreliable; outages are not uncommon. There is a constitution still to be approved and a legal system to be reconstructed. Cultural sites were largely spared during the 2011 Revolution. NATO’s Operation Unified Protector successfully protected Libya’s most important sites with their “no-strikes” list and the Blue Shield’s post-revolution assessment reported very little damage to the sites from either air strikes or ground combat. Now, Libya’s cultural heritage is being damaged, not only from the chaos and lawlessness of the ongoing civil war, but also from deliberate destruction wrought by vandals and religious extremists. Over the past two years, Sufi tombs and mosques have been seriously damaged or completely destroyed throughout the country. In the city of Tripoli there has been both pillaging and the outright destruction of a number of important Islamic shrines. Prehistoric rock art at the UNESCO World Heritage site of Tadrart Acacus is being vandalized. Museums remain closed country-wide due to security concerns. Public sculptures of the Italian colonial era have been destroyed by extremists in both Tripoli and Derna and are currently being threatened in Sirte. There have been credible threats that the country’s museums will be attacked so artworks have been moved to safer sites and other protective measures taken by the Department of Antiquities staff to secure their buildings. Since Department of Antiquities archaeologists remain hesitant to do site inspections in areas deemed unsafe, there has been a notable increase in illicit trafficking of cultural materials in the past two years. UNESCO continues to issue urgent calls for the greater protection of Libya’s cultural heritage. The lawless state of the country is also encouraging widespread, unregulated development that is destroying cultural heritage which has remained unscathed for centuries. With no constitution, no clearly operating legal system, no defined property rights, and no organized police force, a major land-grab is underway that pays little heed to archaeological remains. The exploding population of Libya needs new housing, especially after Gaddafi put a moratorium on building in the latter years of his regime and there is little respect for historical remains that might impede new construction. In your work at Cyrene, has your work been affected by looting and trafficking? American archaeologists have been working at the archaeological site of Cyrene in eastern Libya since the early 20th century. Richard Norton, with the support of the Archaeological Institute of America, began excavating in 1910, but he abandoned his project in 1911 following the murder of a staff member by local assailants. American teams from the Universities of Michigan and Pennsylvania respectively resumed archaeological research in the mid-1960s but all activity was halted in 1981 when relations ceased between the USA and Libya after the Gulf of Sidra incident. Following resumption of diplomatic ties between the United States and Libya in January 2004, the American Archaeological Mission, under my direction, returned to Cyrenaica after a hiatus of twenty-three years. On our return to Cyrene in 2005, we found the infrastructure of the Libyan Department of Antiquities in Shahat was badly decayed. During the period we were unable to work in Cyrene, a number of sculptures excavated by the American Mission between 1969 – 1981 were taken from the departmental storerooms, probably sometime in late 1999 or 2000. Some of these pieces have subsequently been traced to sales in auction houses in New York, London, Paris, and Geneva, but only two have been recovered. 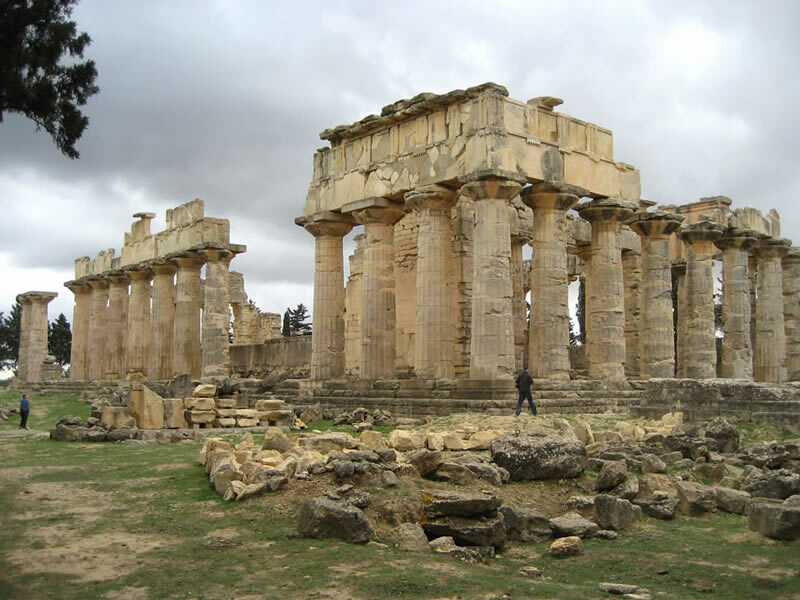 Other thefts of sculptures from Cyrene also occurred during this period. Asked by our old colleagues at the Department of Antiquities in Cyrene for assistance, the American Mission began a series of collaborative projects—generously supported by the U.S. Embassy in Tripoli and the Ambassadors Fund for Cultural Preservation—that focused on capacity building, including the introduction of modern information technologies, courses on site documentation and mapping, and the inventory of storerooms. Temple of Zeus, Cyrene, Libya. What makes the artifacts from Cyrene stand out from other areas? Where do you see these types of artifacts appearing after they are looted? Cyrene’s funerary sculptures – portraits of the deceased and a unique, often aniconic or veiled, female bust of a funerary goddess – are unique to the region. These funerary sculptures are now appearing on the art market in Europe and the United States with alarming frequency, especially in the chaos of the post-Revolution. One highly publicized case involved a statue of a funerary goddess from Cyrene that was seized in London in 2013. The work was being shipped from the UAE Sharjah purportedly as a statue from Turkey, but its distinctive iconography was proved to the British Court that it was a looted statue from the Cyrenaica. Urban encroachment, along with a growth of illicit digging in the extensive necropoleis that ring the city of Cyrene, are uncovering antiquities that are appearing more and more frequently on the international art market. Portable antiquities are seen as a form of booty by many local inhabitants, who now have the opportunity, especially through Egypt, to smuggle antiquities abroad for sale. In light of Libya’s political crisis, what do you see as the role of heritage? Does it serve to unify or divide opposing parties? Libya’s need to deal with its past, both political and cultural, is critical. During the Gaddafi regime, Libya’s pre-Islamic cultural heritage was not a priority. Archaeology was of scant importance and support for the institutions responsible for it were minimal. Virtually all of Libya’s heritage sites suffered from lack of maintenance, inadequate security, and few public programs existed to raise awareness of their centrality to Libyan culture. It is unclear how Libya will find a way to deal with its past, and to talk about its cultural heritage in the future. Given 42 years of Gaddafi era neglect, it is not surprising that cultural heritage struggles for recognition and support from both the current governments and general populace. Libya is in transition and it is difficult to confront issues of cultural preservation when greater concerns dominate the Government’s agenda. Can you tell us about your work training Libyan experts on the ground and how it is aiding in protection? Just after the Revolution, hopes were high that cultural heritage in Libya would receive a new national priority. In October 2011 UNESCO convened an international meeting of experts on Libya heritage. The group expressed concern about the fragility of Libyan cultural heritage and evaluated risks in the aftermath of the conflict and the transition to a new government. Their recommendations focused on securing heritage sites and collections, strengthening the legal and institutional framework for heritage, and increasing the awareness of and support for heritage by the national and local publics within Libya. Also recommended were a moratorium on excavations. Instead, foreign missions were encouraged to assist Libya with the protection, assessment, documentation, and management of cultural heritage, to be realized through a focus on training and capacity building. Since that meeting in 2011, UNESCO, other international NGOs, and foreign missions have presented a variety of short-term workshops and longer-term training courses, organized with the cooperation of the Department of Antiquities. But now, given the current security concerns, no foreign missions can work safely in Libya, so any projects and workshops for capacity building must be held outside the country. Our training activities have spanned the Gaddafi era (2005 – 2011), the Revolution (2011-2012), and the post Revolution period (2014 -). Since 2014, our training activities are being conducted outside of Libya, mainly in Tunisia. Our capacity building initiatives are based on a simple principle: “train the trainers.” Through a series of linked courses and workshops, the American Mission has sought to create a continuous and progressive training program. The idea is to work as often as possible with specific individuals who move forward in a series of increasingly advanced courses with the aim that these individuals will be able to take on the responsibility of training others in other courses offered within Libya. As new persons are trained by these trainers, they can be added to new advanced courses. This system builds a larger group step by step. In 2016, we held two workshops on cultural heritage resource protection (29 February – 02 March 2016 in Rome and 17-22 October 2016 in Tunis). Instruction was provided by representatives of the FBI Art Crime Team, the US National Parks Service, and the Carabinieri Tutela Patrimonio Culturale. The recommendations from the Rome workshop included a request on the part of the Department of Antiquities to develop multi-disciplinary teams of law enforcement personnel and archaeologists who could work together to combat illicit looting and trafficking within Libya. The October 2016 workshop in Tunis brought together 8 Libyan law enforcement personnel (Tourist Police and Customs officials) and 8 archaeologists (from both Tripolitania and Cyrenaica) to work with instructors from the US FBI Art Crime Team, the Department of Homeland Security, and the Italian Carabinieri Tutela Patrimonio Culturale to learn basic principles of crime scene investigation through a series of practical exercises. A Libyan lawyer and judge provided a discussion of Libyan antiquities law and information on court procedures. This was the first time that these two groups had been brought together to work on the problem of illicit trafficking and looting. Since October 2016, four follow up workshops have been held within Libya, all conducted by participants from the last workshop. From these workshops, 23 police have been selected to attend an advanced course in Tunis in March 2018. It is hoped that these police will eventually form the basis for a specialized art crime police force in Libya.